In addition to the creations realized by the Christofle Studio, the house collaborates with the greatest designers of the day to realize contemporary, ambitious pieces made in its workshop in Normandy by the Meilleurs Ouvriers de France (MOF) – the best craftsmen in France. Works by artists and designers, historic re-editions and reproductions, custom orders and other exceptional pieces are made in the workshops of Christofle’s production facility in Yainville, France (Normandy). 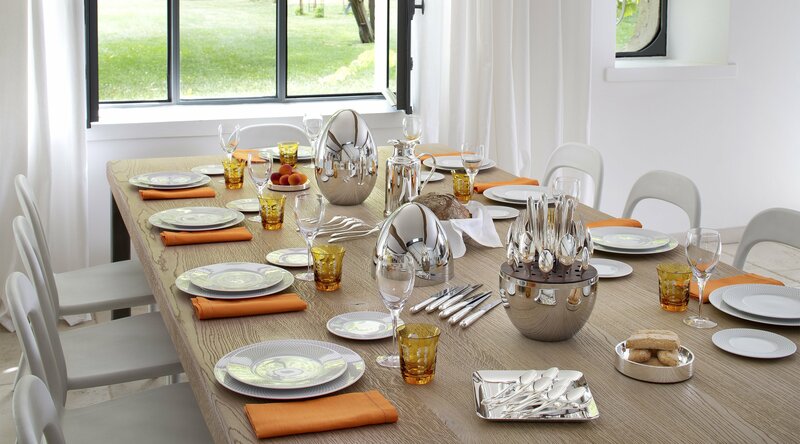 Present in more than 70 countries, with more than 60 wholly owned shops, Christofle represents French elegance all over the world.